Blooming New Projects At The Purrfumery! It’s been an amazing few months and I have so much news to share! My newsletter subscribers are the first to know! I will be raising the prices of my Signature Scent and Limited Edition liquid and crème perfumes. It’s the first price change in 10 years, and I need to do it to meet the cost of my materials, which have gone up. Imagine that it takes 60 roses to make 1 drop of rose oil! The cost of labor has gone up, too, and many of the materials I use are processed by hand around the world. 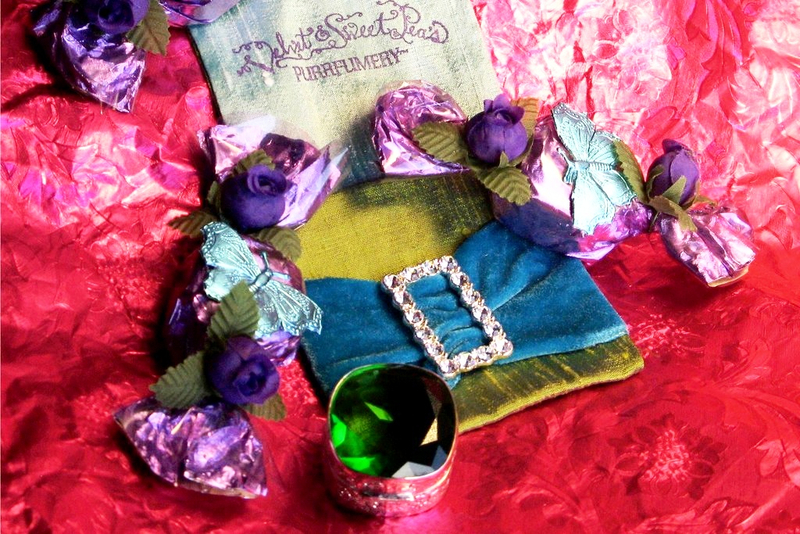 Also, I am running very low on jewel boxes, and may not have these again, as the cost of silver has gone through the roof. So, if you have been eyeing a crème perfume, now is the time, my dear Purrfumery friends! The price change will not affect Kittylicious or eau de parfums. I’m delighted to introduce you to Avé Parfum, a beautiful new web-based perfume boutique that carries fragrances from perfumers who promise never to use cruel animal musks in their products. I met the proprietress, Elizabeth Rose, when she took my Spirit Perfumery class at Homestead Apothecary in Oakland. Elizabeth and I had a meeting of the minds—we are both dedicated to animal protection and had a dream of bringing niche and artisan perfumes from around the world to perfume lovers who wear only cruelty-free and animal musk-free scents. She asked me to create new dilutions of her favorite Purrfumery scents. I’m thrilled to support Avé Parfum’s mission of education, awareness, charity and compassion for animals. Labeled and wrapped in luxurious new designs, these luscious Purrfumery favorites are all in eau de parfum and are available in two new sizes – 15 and 30 ml. This is the debut of Black Cat in a base of organic, vanilla-infused alcohol! Previously, Black Cat was only available in a jojoba oil dilution. Experience them in their new packaging for yourself, or share with someone you love. The Velvet Collection will launch on Black Friday! I suggest visiting Avé Parfum’s website and subscribing to their newsletter (make sure it doesn’t go to spam), as they will announce a special offer for the launch. Samples will be available for purchase as well as full bottles of both sizes. Gary and I, along with my cousins, just finished the honey harvest. I was dragging my feet a bit because it was so hot and smoky out, but the honey can’t wait! 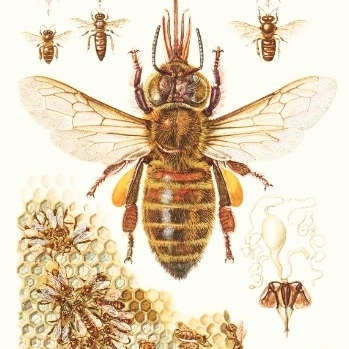 Now it’s done, and I have plenty of honey, beeswax and propolis for my perfumes (not to mention sweet goodness for our tea when you visit me)! The day of the honey harvest was one of the worst fire days. We could see and smell the smoke from the tragic fires burning just north of our home. So many people and animals were displaced, and we continue to look for ways to help. We heard that the Milo Foundation, which is based in Point Richmond, had to evacuate their sanctuary in Willits. They were seeking people in safe locations to take in dogs and cats. For the month of November, the Purrfumery will donate a portion of all sales to support the Milo Foundation’s Fire Evacuation Fund. We’re pitching in to help wherever we can! I am thrilled to announce that I have been named the new Director of Animal Conservation for the International Perfume Foundation (IPF), a non-profit organization based in Brussels. The IPF’s Mission is Education, Protection and Revitalisation of Culture and Perfume Heritage to Reconnect Human Society with the Beauty of Natural Fragrances and the Healing Power of Nature. As IPF Director of Animal Conservation, my role is to ensure the development of animal cruelty-free and animal testing-free natural perfumes, provide guidance for IPF gorilla and bee research projects, and participate in IPF events. The civet cat, musk deer and beaver suffer when musks are harvested for use in perfume. This has to stop. We have botanical replacements for musk, and cruelty to animals is unnecessary. My role with IPF is to educate perfumers about how they can use plants, seeds and other botanicals to create musk scents, and spare animals their current anguish. I believe that education is the best way to raise perfumer and consumer awareness. Three IPF projects I will be involved in are the World Heritage Program, the replanting of flower fields for the bees, and gorilla olfactory research. 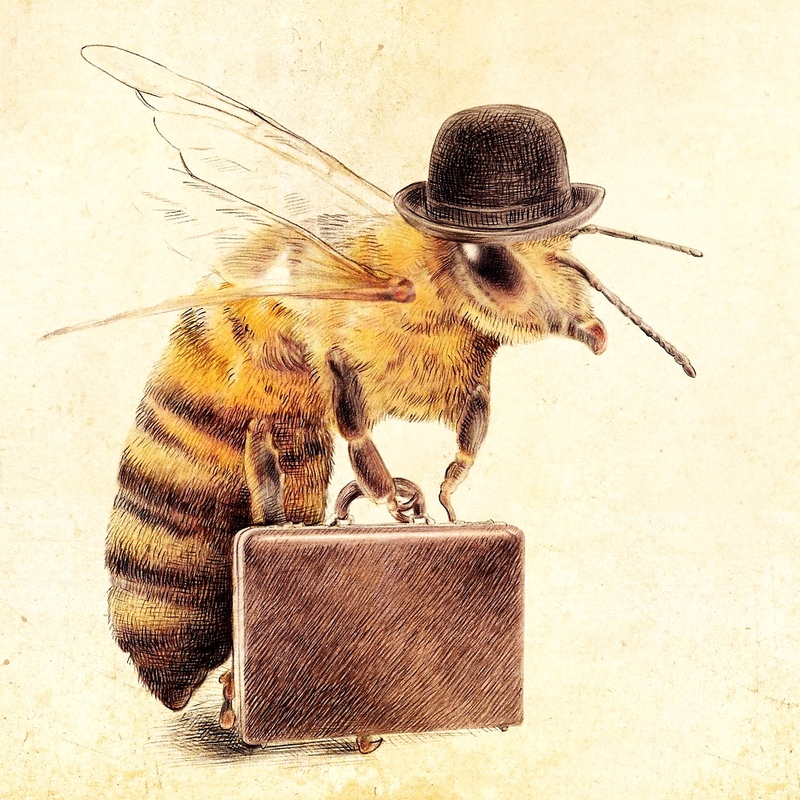 Bees are disappearing in part because farmers are growing genetically modified flowers for market. These flowers are visually flawless, but they lack scent. This has become a huge problem for bees, an insect with an olfactory system that depends on scent. It has also become a problem for natural perfumers. 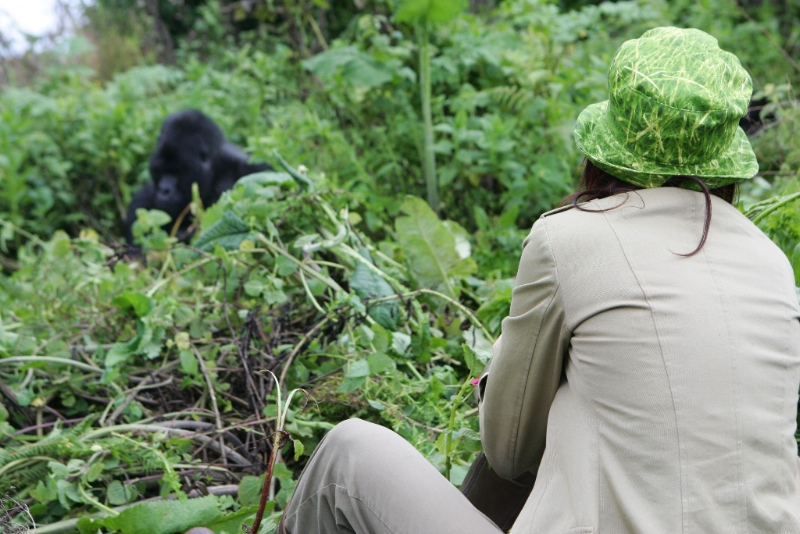 Gorillas, other primates, and humans share similar olfactory senses. The difference is gorillas use their sense of smell to cure themselves instinctively with plants and flowers. I’m excited about the possibility that IPF research could lead to a better understanding of how plants and flowers could be used in cures for cancer and genetic diseases in humans. When you’re looking for ways to implement change a world away, you need all the inspiration you can find! In October, I attended the World Conservation Expo and listened to the heroic stories of people who work with governments and communities to keep animals like lions, giraffes, cheetahs and elephants safe from harm. 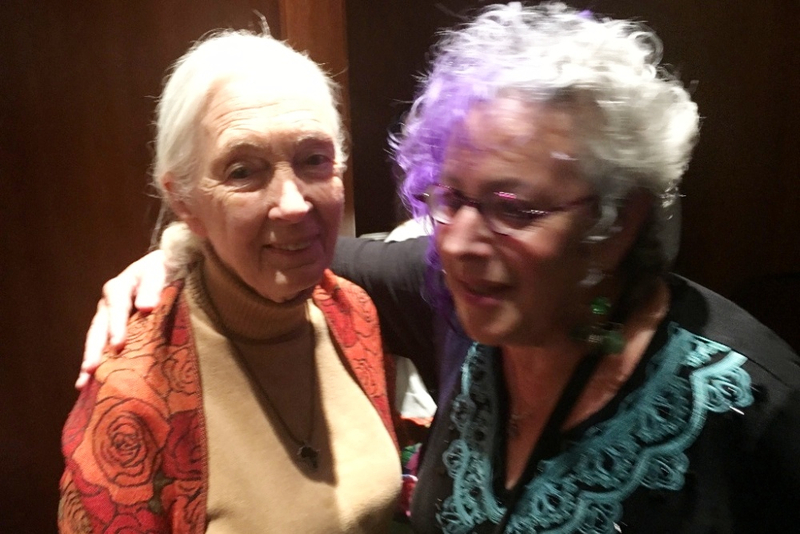 I met my hero, Jane Goodall, who has opened the world’s eyes to conservation and protecting chimpanzees. In the few moments I had with Jane, I shared my own message of conservation and my new role with the IPF. It was an incredible experience to meet her – I have listened to her and learned from her for as long as I can remember! Her vision and drive give me hope. Visit me at the Purrfumery! I look forward to carrying on the tradition of conservationists in my work with the IPF… and of course, with the kitties in the Purrfumery! My kitties and pigeons also encourage and inspire me! I attended and helped at the Pigeon Palomacy and Dove Adoption Fundraiser a few weeks ago and had a wonderful time! And, I am also thrilled to say that when I met Jane Goodall, I gave her a Pigeon Palomacy locket as a gift. Please let me know if you would like to hear more about the work I’m doing with the IPF. Or, if you’d like to stop by the Purrfumery for a cup of tea and chat! The holidays are coming up, and I’m happy to meet with you and help you find something beautiful for your friends, loved ones, and for yourself. Fall is around the corner! Soon, the flowers and plants in the Perfumer’s Garden will turn inward and begin to slowly rebuild for the next season. It’s a marvelous creative process and one that we mimic as humans, whether we realize it or not. We are constantly growing, changing and tapping into newfound creativity. This fall, I am teaching two classes that are stepping stones on the path to Natural Perfumery, a very unique and personal pastime that engages our intuition and sense of delight. 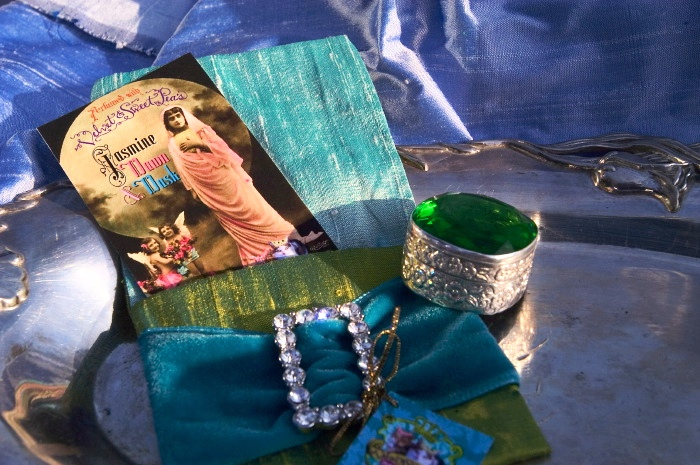 I invite you to join me and indulge in the exquisite experience of turning inward. In this series, you will experience a palette of natural materials, and learn the basics of making three kinds of perfumes: solid, liquid oil-based, and alcohol-based. Enroll in the series and get an overview of a range of perfume carriers; or take just the class you need. No experience is necessary, though the alcohol-based perfume class is more advanced. Curricula include lessons about top, middle and base notes; how accords (a series of notes that make a new scent) are made; how a natural perfume without isolates or petrochemicals is constructed; and how a botanical perfume evolves over time. You’ll also learn about some safety issues to consider when working with essential oils for perfumery. And, I will cover the ethics of animal testing and methods for avoiding materials that harm animals. 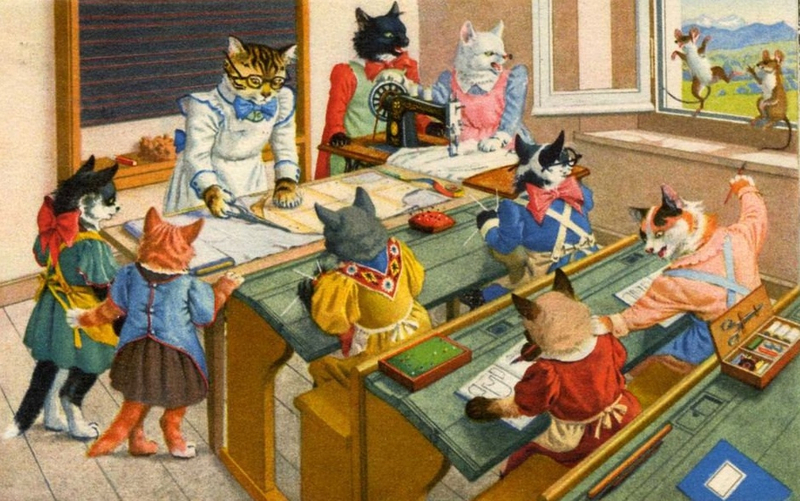 Small classes ensure plenty of personal attention. A tip: These classes give you a unique and relaxing way to spend time with family and friends! Classes fill up fast, so book early. 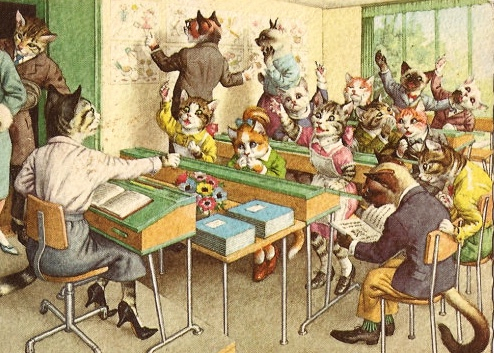 I look forward to seeing you in class, my dear Purrfumery friends!